Question: Do I have to buy point to point train tickets in advance in Europe? "We would like to take the train from London to Rome & return. We don't want a pass. We just want to go to the station & buy a ticket for the next place...Is it possible to just go to the station without a schedule and get on a train? Are they that frequent?" Answer: Train travel has been the transportation method of choice in Europe for many years for good reason: Europe is dense enough that train travel is efficient, taking you from the city center to city center in a short period of time, something the airlines can't do. Thus, trains ply the major routes frequently, and most train stations, especially in major cities, are surrounded by hotels of all price ranges. So the short answer is yes, you can show up at a train station, buy a ticket to your next destination, hop a train, and get outta town. I've used this method of travel for years. In many ways, it's my favorite method of seeing Europe's cities. Advantages? You get to go where you want when you want. You can change your mind at a moments notice without redeeming a ticket you've previously paid for. Yes, some planning, even for a carefree vacation, is necessary. When I arrive at a train station, the first thing I do is check departure times of trains going to my next destination using the Departure schedule, usually a yellow colored poster prominently displayed in stations. That way I know how to plan for departure; if I want to depart in the evening, I can make arrangements at my hotel for them to stow my bags after check-out time. Scouring the Departures schedule is one of the fun things about train travel. Like gazing longingly at a map of your dream vacation area, all the cities you've heard and read about are posted on that schedule, ready for you to pick and choose according to your whims of the moment. Even if you're sure of your next destination, you may discover alternative routes to your destination that offer interesting stop-over possibilities. Europe's your oyster when you take the train. Most experienced travelers use the German Die Bahn web site, which has an English section for "international travelers". You can find most train routes here. But be aware that shorter local trains, and some trains that operate private routes, are not likely to be on that schedule. One of the advantages of a Eurail pass is that you can often just pull it out and get on a train. You don't have to deal with ticket agents. A rail pass is unlikely to limit your "carefreeness" one bit and may enhance it if you choose right. Remember, you'll have to buy your Rail Pass in advance, outside the EU. Buying point-to-point tickets means you might have to stand in line, and you might encounter ticket agents who don't speak English. What then? Be resourceful. Know your destination, know the time your desired train leaves, know what class you want and if possible write them down and hand the paper to the agent. Use hand signals if you need to. If I can do it, so can you. Believe me, they've heard it all before and can deal with it. Today the ticket windows are giving way to machines that take cash or credit cards to purchase train tickets. Sometimes they work with a magnetic strip card and sometimes it takes a chip and pin card, but most take cash as well. If you're planning to land in London but leave right away for Paris or Brussels on the Eurostar, you'll probably want to get those tickets in advance to save you the trouble of dealing with it all while you're jet-lagged and tired. It really helps to have that first one in your pocket. 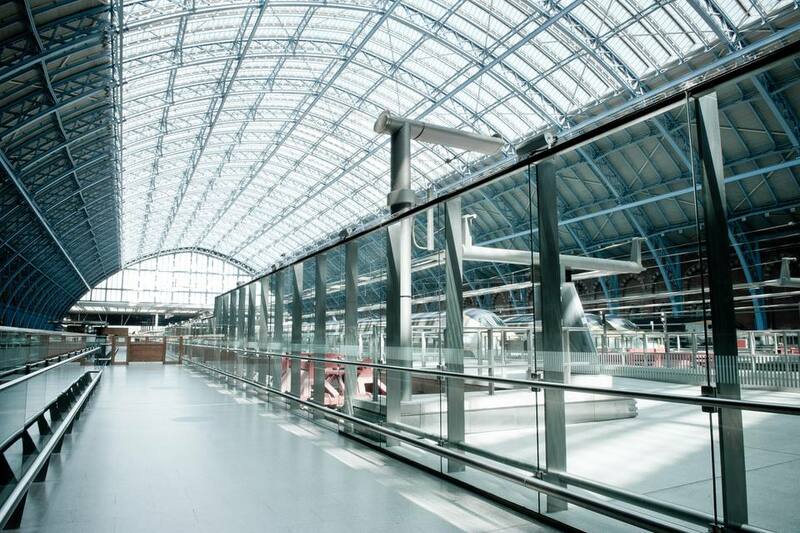 Try the Rail Europe Eurostar Booking Center (Book Direct) to find a Eurostar ticket you can buy in advance. You can learn to deal with the slower trains later, or purchase them from Rail Europe (Book Direct). Buying a rail ticket and having it shipped to you will be more expensive than buying it in the country you're traveling in. Sometimes you'll choose a route that's way too popular with locals and tourists alike. This happens often in Italy, where train travel is relatively cheap and everyone uses it; sometimes people are so crowded into the aisles that no one can move. The answer? Find the conductor, ask if there are seats in first class, and if there are, pay to upgrade for that leg of your trip. That's it. Enjoy your footloose travel in Europe.